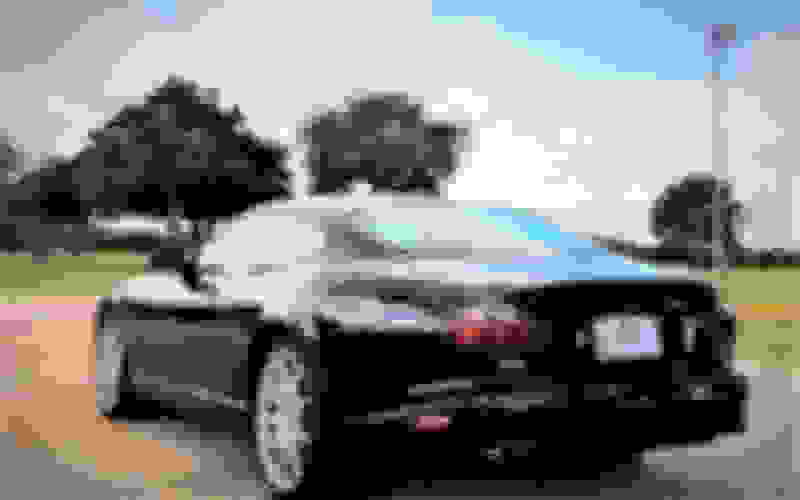 I have a 2005 XKR Coupe and I have done a couple or three things to the Lights, as I had been disgusted with the Headlights since way back when I had my 1998 XK8 Coupe... The Headlights were almost worthless on the Highway...Even on bright! The 2000 XKR was better as it had HID low Beams but still Halogen High Beams; the same as my 2003 XKR! After the Lady totaled it and I got the 2005, I promised myself that I would find a way to "Brighten-up the Night".. I did this by installing an LED Kit in the stock High Beams! Wonderful Light came out of those same stock Lens! A couple months ago I updated the High Beams again with a different LED Bulb that shines on the reflector better and configures the Light even better than the original ones.....But they still look Stock! The only thing I've done to change the looks of the frontend has been to install the Osram DTDL's in the lower grill of the 2005. I think they both look good and provide a safety factor at the same time...and I like them! Now in answer to your announcement that someone is going to make a better Light for the XK8/XKR Cars. I don't see how they could possibly make a better looking set of Lights or Tail Lights than those which Jaguar has already made.....Our Front Lights with the LED changes can't be beat and the "Victory Edition" Tail lights are just plain Beautiful! What they could do for the 1996 thru 2002 cars, is make a Tail Light for them that fits the Car and model them after the "Victory Edition" Tail Lights! They would sell a bunch of those! Oh! I forgot...I've got a set of Regular 2005 Tail Lights for sale...the Jeweled type...Cheap!! Have to admit I agree with the above regarding the original headlights being rubbish. I installed the most powerful, legal, dipped headlights I could and installed HID's in the main beams. MUCH better. Should have been one of the first jobs I did on the car. Hindsight is wonderful. What they could do for the 1996 thru 2002 cars, is make a Tail Light for them that fits the Car and model them after the "Victory Edition" Tail Lights! They would sell a bunch of those! Agree 100%--this is exactly what I was getting at in my prior post. The tail lights on my 97 really date the car--I would strongly consider buying ones modeled after the victory edition if they fit the early cars. But, alas, they don't exist. Dave has the answer for your upgrade, TODAY! Read it, Buy it and Be Happy! While you are visiting with Dave, you might ask him if he has any "Victory Edition" Tail Lamps that you could buy rather than the "Standard Jeweled" Lens.....You could go from.....Jaguar's first try, all the way to their last one all within a minute or two! All this appears to be around 400Lbs. or so. Don't have any idea how many Dollars that is , but "what the Heck"! Dave has solved your problem! Yeah, I had seen those before (I think it might've been you who first referred me! ), but I really, really, don't want to cut out the existing mounting plate and fit the new one. I'd love if there were a tail light that fits the old, original mounting plate but had the jeweled or victory edition look. Think of it this way.....you cut off a small piece of Metal that can be welded back on if need be...It's going to make your XK look like it came out of the dark ages and after you do it you wouldn't even think of changing it back! You get all the Parts needed and if you don't know how to do the job......any Body Shop can do it for you in a couple hours! But, It's up to you...…..? So I talked with the company and they have already ordered XK8 headlights and F-Type headlights to perhaps come up with a 3D concept of the headlights. I am so excited right now that we may finally be getting full LED modernized headlights for our XK's soon. Shame you did not buy a BMW. I cannot see you selling more than 3 or 4. Who wants to spoil a classic. I don't care about tail lights, but if a high quality set of LED headlamp assemblies ( not just bulb conversions - I have those ) were available; and they were fully "plug & play" into the existing wiring, I might consider them. These will be fully LED headlight assemblies plug and play into our existing harness. However the DRL feature you tap into acc in fuse box. Something that is not clear to me so far is whether this replacement assembly will include the lense. If it does include a lens, will it be of same materials as OE which never "fogs"? Uh.....no thanks. That may be more than I have spent in total on my XK8 repairs. And its just for lights? ......"
Next someone will want to modernize the Mona Lisa. All kidding aside, I'd welcome an aftermarket headlight that looked EXACTLY like the original. But a modernizing look ? No thanks. If I wanted a modern look I'd buy a modern angular car, devoid of curves. Hey...what's so bad about that? 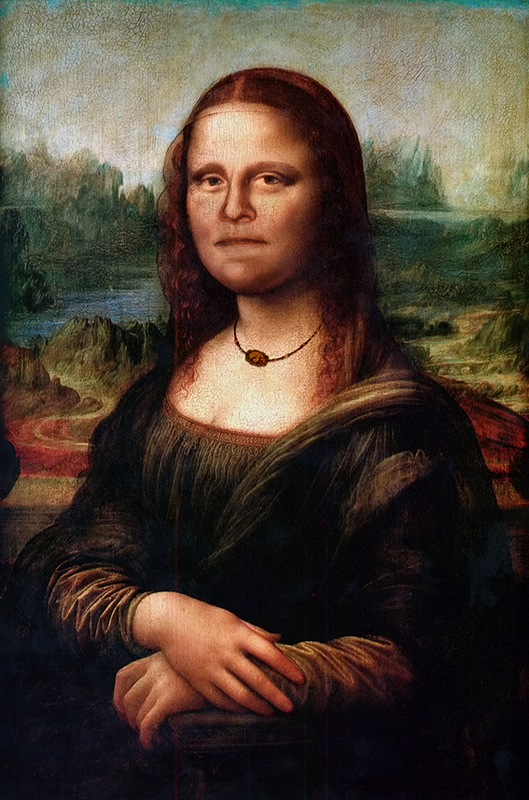 I give you...the MattaLisa. Original redone with my old boss Matt's face. The lens is incorporated it would be fog resistant. Well that would probably be a deal breaker for a lot of folks if the lens was plastic and just resistant to fogging instead of not capable of fogging. Something to consider about your choice of materials. If it is the same crap that is on "modern" cars it will be a step backward regardless of how sparkly the LEDs are. My 2 Projects. Plugging License Plate Holes and LED DRL Lights.